Much has been written about the 2016 presidential election. Scholars and political commentators have devoted many pages to their take on how Donald Trump was elected to the highest political office in the country. It seems like each week brings a new insight into the dysfunctional goings on in the White House. As members of Trump's administration either step down or are fired, they each are ready to publish their "tell-all" book with firsthand accounts of just how defective the American political system has become. With each new revelation that would be considered shocking in any other administration, the President simply brushes them off as "fake news." Enter two time Pulitzer winning journalist Bob Woodward. Woodward is like the antithesis of fake news. He was one of the key journalists involved in exposing the Watergate scandal during Nixon's presidency and has provided authoritative reporting about every president since. 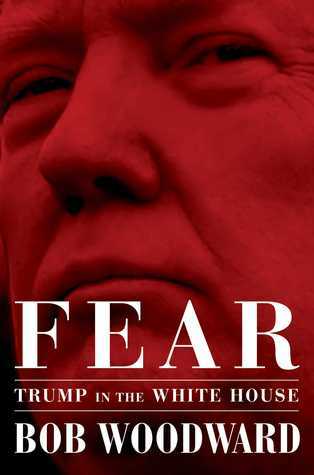 In his newest book Fear: Trump in the White House, Woodward presents a startling portrait of the way Trump leads the country. I'll start by saying that Fear presents little in the way of new revelations. Rather, Woodward provides a meticulously documented portrait that confirms the things we already know and fear about our President. Woodward confirms that Trump has a short attention span, is prone to knee-jerk/uninformed decisions, and simply denies any claims of facts that are counter to what he is trying to do. "You've got to be strong. You've got to be aggressive. You've got to push back hard. You've got to deny anything that's said about you. Never admit it." The true marvel of Woodward's Fear is not in the contents of its pages (although much of what is reported is pretty terrifying for anyone who believes in the order of the US government) but in the way in which it is documented. Michael Wolff's book Fire and Fury presented many of the same topics and retellings that Woodward's book does. Wolff's fatal flaw was that he did not document his sources. That simply doesn't work in Trump's era of fake news. Woodward remedies this by providing comprehensive footnotes and sources. Each quote or claim is backed by documented interviews, recordings, or press footage. Simply put, there is no denying that what Woodward has written is true. Fear, like the countless other books about Trump's White House, will likely do little to change the opinions of the President's supporters or detractors. It will, however, serve as verifiable historical documentation of the bizarre and downright insane reign of our current President. "The supernatural may exist in books and movies but not in the real world." Although Stephen King is known mostly for his horror-filled novels that feature the kind of supernatural monsters that keep us awake long after we finish reading them, his most recent books have focussed more on the nightmares of the real world. With his latest release, The Outsider, King again roots his story in an unthinkable reality. The quiet town of Flint City has been rocked by the gruesome discovery of a murdered child. The scene is grim. The boy was sexually violated, murdered, and unceremoniously left in the city park. Only a monster could commit a crime so heinous. Fortunately for law enforcement, they have enough irrefutable evidence to lock that monster up for a very long time. Terry Maitland is a pillar of his community. He's a loving father, husband, and teacher. Terry is in the midst of coaching the local Little League team into a championship game. The entire town is watching with respect and admiration. Suddenly the townspeople see this affection turn to confusion and disbelief. Detective Ralph Anderson arrives at the field with police lights flashing. He approaches Terry, reads his rights, and cuffs Terry's hands behind his back. With the whole town looking on in bewilderment, Terry is arrested for the appalling murder of the young boy. Authorities know the case is a lock. It is hard to believe such a well-regarded citizen could commit such an unimaginable crime, but the evidence doesn't lie. If the multiple witnesses seeing a blood-soaked Terry leaving the park aren't enough, the DNA evidence placing him at the scene should solidify his guilt. There's only one glaring problem. Terry and his team have an equal amount of irrefutable evidence that points to his innocence. He wasn't even in Flint City during the murder. How can a man be in two places at once?! I've always been a fan of Stephen King. I know he's seen as one of the greatest horror authors of all time, but I'd argue he is one of the greatest authors period. His penchant for well-drawn characters and intriguing plotting defies the confines of genre and makes his writing some of the best in modern literature. The first half of The Outsider solidifies this point. King presents Terry's situation in a way that allows the reader to empathize with both sides of the situation. Detective Anderson is dealing with the shock of seeing evidence that reveals an upstanding citizen and friend to be a murderer. On the other side, Terry is desperately trying to prove his innocence. He even has evidence that cements his alibi. King masterfully keeps the pages turning as he explores this impossible situation. The second half of the book sees the narrative shift in a way that takes away a bit from the drama of what precedes it. It almost reads as if King wasn't sure how to explain the impossibility himself. To be fair, the ending is still well written, but I left me wanting a little bit more. King continues to build his own world by incorporating a character from his Bill Hodges trilogy. Having read many of King's novels, it is always fun to spot little easter eggs from his other works. 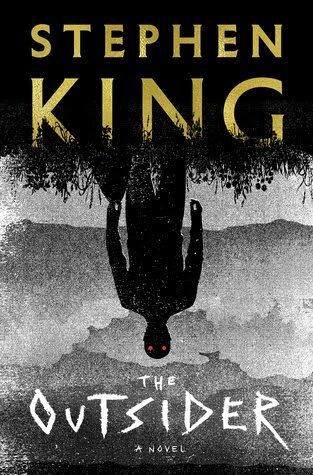 The Outsider falters a bit in the end, but it is still a reminder of Stephen King's extraordinary storytelling prowess.